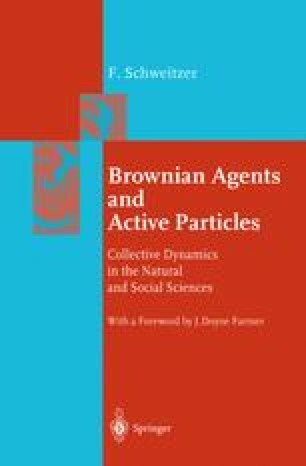 In this chapter, Brownian agents play their role as economic agents, namely, employed and unemployed workers. Depending on the local economic situation that changes in time, employees can be fired, or the unemployed can be hired. This in turn leads to changes in the supply and demand of products and, together with complex local and global feedback processes, to the rise and fall of whole economic regions. In a world of fast growing population and intercontinental trade relations, the local emergence of new economic centers, on the one hand, and the global competition of existing economic centers, on the other hand, has a major impact on the socioeconomic and political stability of our future world .